We have a mouse in the house! Below are photos of Gilbert, a naughty 15 inch mouse. He has been pulling baubles from the Christmas tree and nibbling on the Quality Street. This is obvious... just looking at that fat tummy! He is made from two shades of lovely Schulte mohair in blonde and ginger. 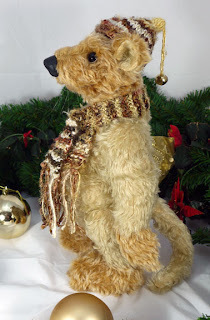 He has six joints, including a double-neck joint, cashmere paws and pads, glass eyes with felt eye whites and a hand-moulded nose made by myself using epoxy clay. He has whiskers and a long tail. 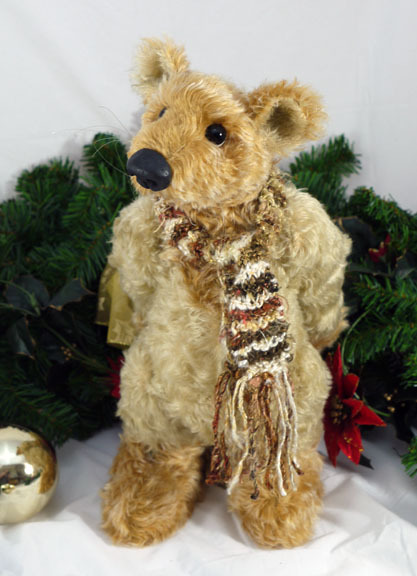 I have knitted him a scarf and bobble hat using hand spun banana silk in lovely shades of brown and gold as he looked to be feeling the cold. He has been carefully stuffed and weighted so that he stands beautifully. He is looking for a new home. 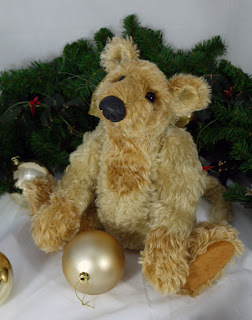 His adoption fee is £140 including tracked, insured shipping worldwide and Special Delivery in the UK. Hoping you all have a wonderful holiday and find something beary under the tree! 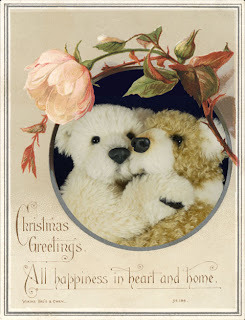 The bears in the photo are Magic and Socks. 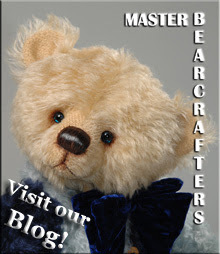 They were nominated for an award at the British Bear Artist Awards 2010, but were unplaced. 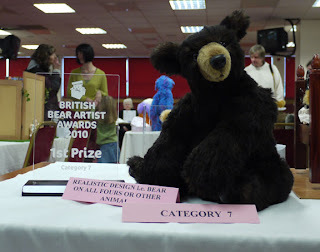 However, Blossom won the Realistic Design category.